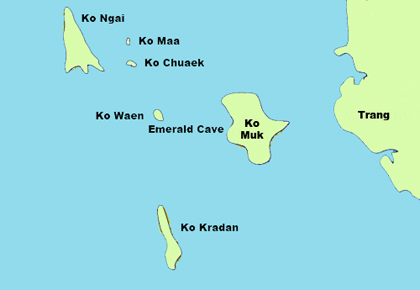 is famous for its inland lagoon known locally as "The Emerald Cave". 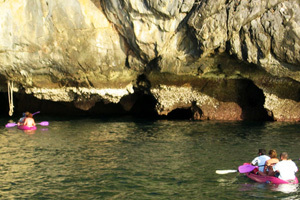 Swim or kayak through a cave and find a beautiful lagoon with a beach and high walled lime stone formations. 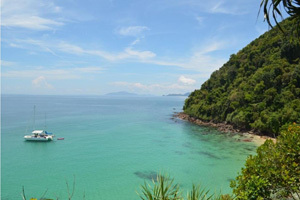 Koh Muk is one big attraction on the Southern route and one of the highlights. offers a perfect and beautiful night anchorage. There are some bungalow resorts with restaurants, where you could enjoy a snack and drink ashore.